Madlib & OH NO! 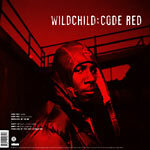 Wildchild comes with it on these two tracks, but he merely accompanies the LIB's music. Instrumentals for both.